^ Intel. "Intel Timeline: A History of Innovation". Intel. Retrieved July 7, 2017. ^ a b "Intel buys Saffron AI because it can't afford to miss the next big thing in tech again". Fortune. October 26, 2015. Retrieved January 28, 2015. ^ Fried, Ina. "Intel is paying at least $350 million to buy deep-learning startup Nervana Systems". Retrieved August 9, 2016. ^ "Intel buys driverless car technology firm Mobileye". BBC. March 13, 2017. Retrieved March 13, 2017. ^ "Intel to invest $11 billion on new Israeli chip plant: Israel..." Reuters. January 29, 2019. Retrieved January 29, 2019. ^ "Intel buys Israeli 3D video tech firm Replay Technologies". Reuters. March 9, 2016. Retrieved March 10, 2016. ^ "Intel buys Yogitech, aims to bolster IoT safety efforts". ZDNet. April 5, 2016. Retrieved April 5, 2016. ^ "Intel buys deep learning startup Nervana Systems for a reported $350 million". TechCrunch. August 9, 2016. Retrieved August 9, 2016. ^ "Intel Completes Tender Offer for Mobileye". Intel Newsroom. Retrieved April 19, 2019. ^ "Intel buys Mobileye in $15.3B deal, moves its automotive unit to Israel". TechCrunch. Retrieved April 19, 2019. ^ "Intel Acquires Omnitek, Strengthens FPGA Video and Vision Offering". Omnitek. April 16, 2019. Retrieved April 19, 2019. ^ Cutress, Ian. "Intel Acquires Omnitek: FPGA Video Acceleration and Inferencing". www.anandtech.com. Retrieved April 19, 2019. ^ Davis, Lisa M. (May 11, 2017). 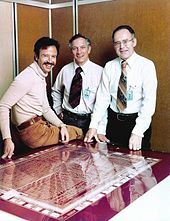 "The Evolution of Mission Critical Computing". Intel. Retrieved May 11, 2017. ...the 9700 series will be the last Intel Itanium processor. ^ "Intel's Itanium, once destined to replace x86 processors in PCs, hits end of line". PCWorld. Retrieved May 15, 2017. ^ Metz, Cade; Chen, Brian X. (January 4, 2018). "What You Need to Do Because of Flaws in Computer Chips". The New York Times. Retrieved January 5, 2018. ^ Pressman, Aaron (January 5, 2018). "Why Your Web Browser May Be Most Vulnerable to Spectre and What to Do About It". Fortune. Retrieved January 5, 2018. ^ Chacos, Brad (January 4, 2018). "How to protect your PC from the major Meltdown and Spectre CPU flaws". PC World. Archived from the original on January 4, 2018. Retrieved January 4, 2018. ^ Elliot, Matt (January 4, 2018). "Security – How to protect your PC against the Intel chip flaw – Here are the steps to take to keep your Windows laptop or PC safe from Meltdown and Spectre". CNET. Archived from the original on January 4, 2018. Retrieved January 4, 2018. ^ Hachman, Mark (January 9, 2018). "Microsoft tests show Spectre patches drag down performance on older PCs". PC World. Retrieved January 9, 2018. ^ Metz, Cade; Perlroth, Nicole (January 3, 2018). "Researchers Discover Two Major Flaws in the World's Computers". The New York Times. ISSN 0362-4331. Archived from the original on January 3, 2018. Retrieved January 3, 2018. 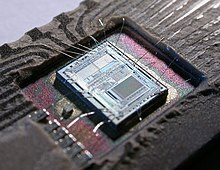 ^ "Computer chip scare: What you need to know". BBC News. January 4, 2018. Retrieved January 4, 2018. ^ "Intel says processor bug isn't unique to its chips and performance issues are 'workload-dependent'". The Verge. Retrieved January 4, 2018. ^ Tung, Liam. "Are 8 new 'Spectre-class' flaws about to be exposed? Intel confirms it's readying fixes | ZDNet". ZDNet. Retrieved May 4, 2018. ^ Culbertson, Leslie. "Protecting Our Customers through the Lifecycle of Security Threats". Intel Newsroom. Retrieved August 16, 2018. ^ "Intel Tells Users to Uninstall Remote Keyboard App Over Unpatched Security Bugs". BleepingComputer. Retrieved April 5, 2018. ^ Tallis, Billy. "The Intel Optane SSD 900P 280GB Review". Anandtech. Retrieved January 4, 2018. ^ Aditya Dey. "Intel Released 4th Generation Intel Core Processors in Taipei". TechStake-Technology News Blog. Archived from the original on January 1, 2016. ^ Farr, Christina (July 19, 2017). "Intel axed its entire smartwatch and fitness-tracker group to focus on augmented reality, sources say". CNBC. Retrieved January 4, 2018. ^ Gunther, Marc (January 13, 2014). "Intel unveils conflict-free processors: will the industry follow suit?". The Guardian. ISSN 0261-3077. Retrieved November 6, 2017. ^ "In 2016, Intel's Entire Supply Chain Will Be Conflict-Free". Fast Company. January 5, 2016. Retrieved November 6, 2017. ^ "Starting Now, All Intel Microprocessors Are Conflict-Free: Here's How The Company Did It". Fast Company. January 6, 2014. Retrieved November 6, 2017. ^ a b Baldwin, Roberto (August 24, 2017). "Intel studies how to make people accept self-driving cars". ^ Ahmad, Taseer (August 29, 2017). "Intel Studies the Self-Driving Car: Tackling the Question of Consumer Acceptance". LinkedIn Pulse. Archived from the original on November 2, 2017. 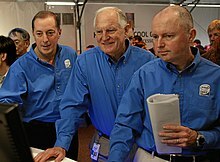 ^ "Robert (Bob) Swan's Email to Intel Employees, Customers and Partners on First Day as CEO". Intel Newsroom. Retrieved January 31, 2019. ^ a b Intel Corporation. OpenBSD (ed.). "if_em.c (Intel PRO/1000 10/100/Gigabit Ethernet device)". BSD Cross Reference, OpenBSD src/sys/dev/pci/. ^ Bell, Kay (August 10, 2016). "Indian city raises stink over Intel's unpaid taxes". Don't Mess With Taxes. Retrieved January 10, 2017.